Looking for a Used Renegade in your area? CarGurus has 35,147 nationwide Renegade listings starting at $9,499. Small crossover SUVs are hot right now, and nothing in the segment has the iconic design and pedigree of the Jeep Renegade. Built in Italy by Fiat Chrysler Automobiles, this little Italian American love child sure is cute. 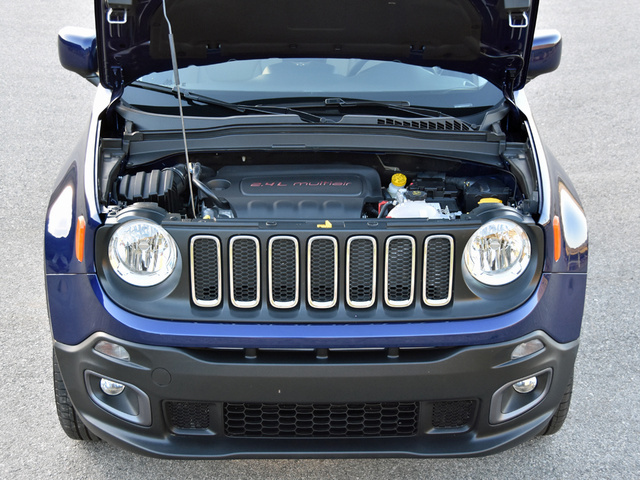 Jaunty and sparkly eyed, the 2016 Jeep Renegade looks ready to take on the world. You might even be tempted to dismiss it as something other than a real Jeep, or as too small to be practical for daily driving. You’d be wrong on both fronts. What is a real Jeep? A real Jeep possesses more than just the brand’s traditional styling cues, like round headlights, a 7-slot grille, and rugged good looks. A real Jeep needs to go places and do things that the competition can’t. Is the 2016 Renegade a real Jeep? Yes, especially if you get the Trailhawk version. My test car wasn’t the Renegade Trailhawk, but it still offered a robust 7.9 inches of running ground clearance. Get the Trailhawk, and you’ve got 8.7 inches of ground clearance. The only other vehicle in the small crossover SUV segment to match that amount is the Subaru Crosstrek. Trailhawks also have skid plates, a hill-descent control system, and improved angles of approach, departure, and breakover. Together, these characteristics add up to a “Trail Rated” Jeep. That’s marketing talk for a “real” Jeep. 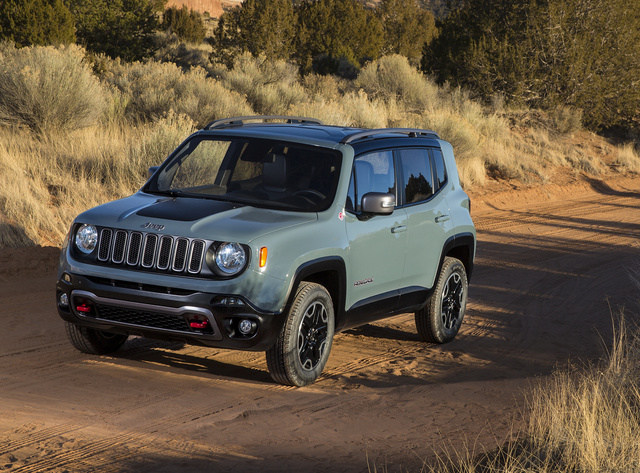 In addition to the Trailhawk, Jeep offers the Renegade in Sport, Latitude, and Limited trims. A 75th Anniversary Edition and a Dawn of Justice Special Edition are also available. Prices range from $18,990 for a stripped-down Sport with front-wheel drive to a somewhat staggering $33,985 for a loaded-up Trailhawk. Both prices include a $995 destination charge. Equipped with an optional 4-wheel-drive system, my Renegade Latitude had a base price of $24,390. Jeep loaded this example with extras, so I enjoyed an 8-way power driver’s seat, heated front seats, a heated steering wheel, a wiper de-icing system, rain-sensing wipers, passive entry with push-button engine start, remote engine start, a navigation system, a Beats premium sound system, and cool-looking 18-inch aluminum wheels. Still, despite all the upgrades, my Renegade’s price came to less than 30 grand. That’s pricey for the segment, but Jeep has done a great job with making the Renegade look and feel like a more expensive vehicle, which helps to justify premium pricing. Exuding personality, the Renegade looks the part of a Jeep, inside and out. I particularly liked the detailing put into the cabin, from the 2-tone decor to the soft-touch materials and big, rubber-textured grab handle on the dashboard. Plus, Jeep places what it calls “Easter eggs” throughout its vehicles. For example, the classic Jeep face is shown on the stereo-speaker trim. Beneath the seat fabric, “Jeep” is visible through the mesh. And stamped right into the dashboard trim, the year 1941 is a constant reminder of Jeep’s military heritage. Aside from the optional 18-inch aluminum wheels, which definitely add design zest, my Renegade was equipped with the optional 2.4-liter 4-cylinder engine, which also installs an automatic transmission. This pair costs $1,500 and is a requirement if you’d rather not row your own gears. The standard powertrain includes a Fiat-sourced, turbocharged 1.4-liter 4-cylinder engine and a manual gearbox. With 180 hp and 175 lb-ft of torque, the 2.4-liter is responsive around town and has no trouble maintaining extra-legal speeds on the freeway. Passing power is in short supply, though, especially if you’ve got a full house of passengers or cargo. Also, my test vehicle didn’t match the EPA’s 24-mpg combined driving rating, coming in at 21.4 mpg instead. 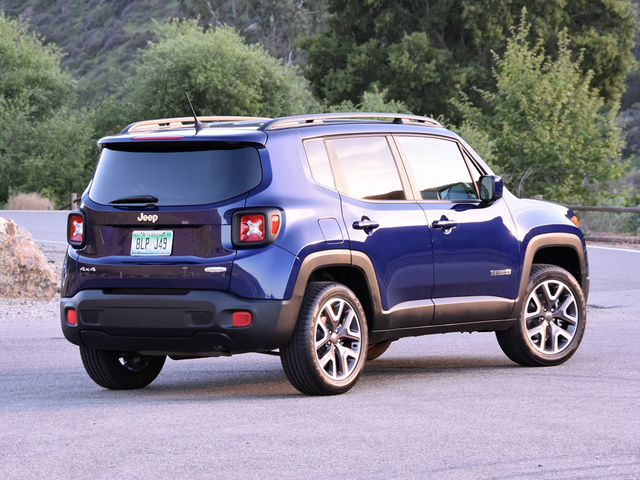 Well suited to city life, the Renegade is compact, zippy enough, and super easy to park. It feels solid, too, shrugging off crappy pavement and crumbling infrastructure. The 9-speed automatic occasionally hunts for the right gear, but is agreeable most of the time. And the brake pedal is easy to modulate. On the highway, the Renegade is less satisfying. The steering feels disconnected on center and is too quick off-center, and the ride quality is bouncy and jouncy. The result is a vehicle that regularly feels unsettled at speed. Unexpectedly, the Renegade is quite fun to toss down a twisty road. It handles better than any Jeep I’ve driven aside from a Grand Cherokee SRT, proving nimble and athletic due to its small size, controlled body roll, responsive brakes, and quick steering. If you spend most of your time on freeways traveling at higher speeds, the Renegade might not be the right choice. Otherwise, in most respects, it is rather delightful to drive, and based on previous experience in a Trailhawk model, I can attest to its impressive off-roading capabilities. It will go where other crossovers can’t. Intuitive controls and clear instrumentation make driving the Renegade easy, too, and for the most part the materials used within the cabin either meet or beat expectations for the price. 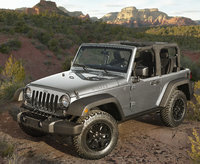 Storage areas are, however, unexpectedly sparse given any Jeep’s ultimate mission. When equipped with the optional 8-way power driver’s seat, the Renegade provides instant comfort. 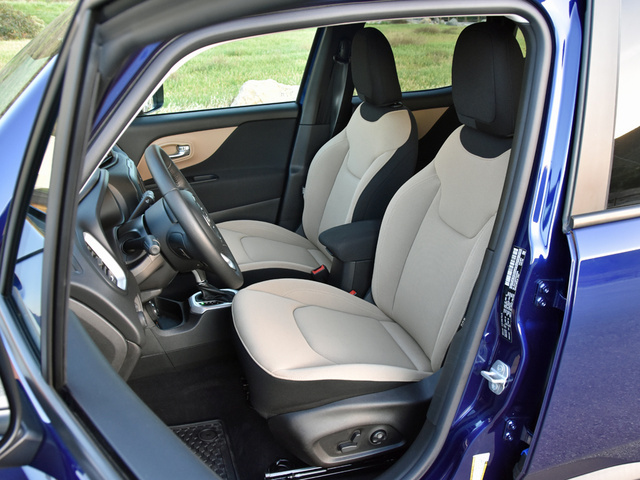 Seat padding is firm and supportive, the cloth upholstery looks and feels durable, and the Renegade’s thick-rimmed steering wheel is a delight to grip. Heated front seats, a heated steering wheel, and a wiper de-icer make the Renegade perfect for cold-weather climates. One thing the Renegade lacked is a front passenger-seat height adjuster, and that made my wife cranky. My kids were happy in the rear seat, which is snug for larger adults. The bottom cushion is mounted a little low, too, so leg support could use improvement. But the front seatbacks are soft, making them kind to knees and shins. My test vehicle didn’t have it, but a MySky power retractable sunroof is available for the Renegade. It costs a big chunk of change at $1,395, but provides a power sunroof for front-seat occupants to enjoy combined with the ability to remove the front and rear panels in order to give the Renegade a wide-open feeling similar to a Wrangler—but without fussing with the Wrangler’s soft top. Pop the hatch, and you’ve got 18.5 cubic feet of cargo space. There's a bin located under the cargo floor, and you can remove it if you want more trunk space. A 60/40-split folding rear seat is standard, and a 40/20/40-split folding rear seat is an option, providing a pass-through large enough to carry skis. Fold the seats to maximize cargo capacity at 50.8 cubic feet. 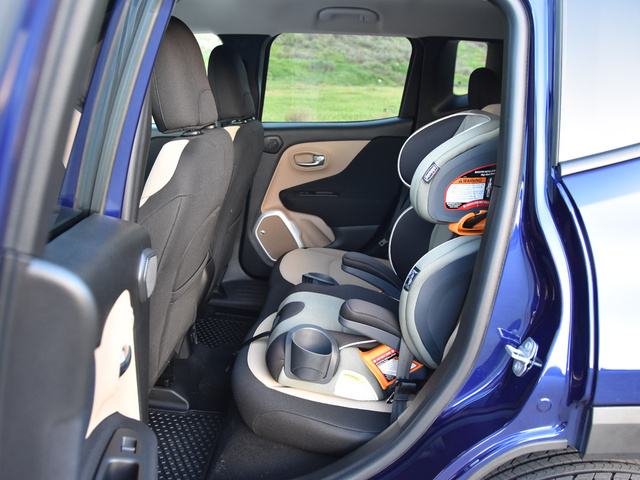 The front passenger seat also folds forward, allowing the Renegade to carry longer items with the hatch closed. 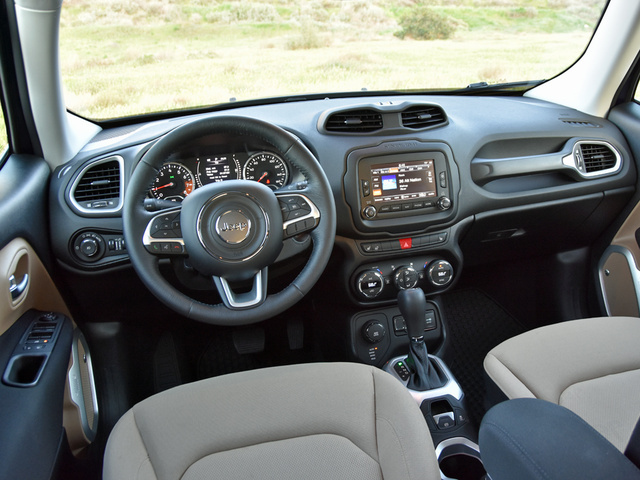 Although the Renegade’s dashboard can’t accommodate the larger 8.4-inch touchscreen infotainment system that is available in other Jeep models, its smaller 6.5-inch display is easy enough to use. The available Beats audio system sounds good, too. What’s missing here, though, is Apple CarPlay and Android Auto smartphone projection technology. Pay for the subscription, and you can enjoy the benefits of Jeep’s Uconnect Access service. Among the many features, voice text-message receipt and composition are handy, along with the ability to summon roadside assistance or 9-1-1 emergency responders with the touch of a button. 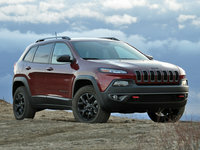 As long as the Renegade is equipped with the 2.4-liter 4-cylinder engine and automatic transmission, and as long as you’re getting a version other than the basic Sport model, you can equip this little Jeep with an affordably priced Advanced Technology package containing several driver-assistance and crash-avoidance technologies. They include a forward-collision warning and automatic emergency braking system, a lane-departure warning and lane-keeping assist system, a blind-spot monitoring system, and a rear parking-assist system with rear cross-traffic alert. I strongly recommend this upgrade, because you’re going to want to avoid collisions when you own a Renegade. My biggest complaint about the Jeep Renegade pertains to its crash-test ratings. This was a brand new design for 2015, and the federal government gives the Renegade 4-star ratings for driver and front passenger protection in a frontal collision. That’s good, but not great. What’s aggravating to me, mainly because I carry my kids around in whatever vehicle I’m driving, is the mediocre 3-star rating for rear seat, side-impact protection. That’s unacceptable for a new design, let alone any vehicle that might be used for shuttling children. You might not be able to buckle the kiddos in anyway; the LATCH anchors are buried so deep into the seat that I almost gave up on installing my daughter’s child safety seat. Get 4-wheel drive, and the Renegade’s ability to resist rolling over in a collision drops to a 3-star rating. This Jeep feels secure when driven smoothly. But evidently, if you make a sudden move, there is a chance the Renegade could tip. As this review was written, the Insurance Institute for Highway Safety hadn’t rated the 2016 Renegade. Last year, this Jeep earned an Acceptable rating in the small overlap frontal impact test, which means it did not receive a Top Safety Pick nomination. Jeeps, however, are not known for reliability. Neither, for that matter, are Fiats. Made in Italy, the Renegade could prove to be quite a gamble. And it sure doesn’t help that the powertrain warranty was chopped from 100,000 miles to 60,000 miles for the 2016 model year. Deals are always available on this Jeep, perhaps helping to make a better argument for purchase. At a minimum, savings up front can help offset the Renegade’s unexpected thirst for fuel. Remember, I averaged 21.4 mpg in combined driving, falling short of the EPA rating of 24 mpg. Despite these shortcomings, I like the Jeep Renegade. Affordable, practical, and stylish, it possesses undeniable charisma, there is a sense of substance to its construction, and thoughtfulness is clearly evident in the execution. Plus, unlike its competition, the Renegade supplies genuine off-roading capability. It’s not perfect, though. And the crash-test ratings are tough to understand. Jeep should have engineered the Renegade to provide better protection in a collision, especially given its likely appeal to younger drivers and cash-strapped parents with children. 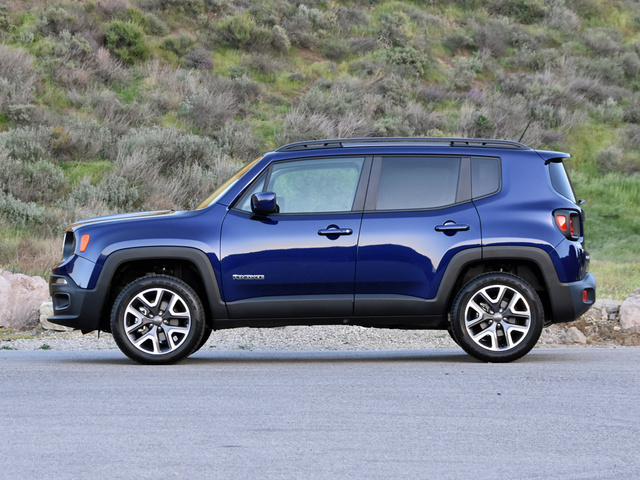 What's your take on the 2016 Jeep Renegade? TheHorror What was your last car, Lc? A clapped-out Geo Metro? EvilNerdLord moving from an 02 2x4 liberty sport to a 2016 renegade trailhawk is AWSOME! I loved this renegade, solid feel, latest tech, 4 wheel disc and at affordable $$, for it's size it's very capable, sure a wrangler can stomp on it off road, but remember a wrangler is bigger, heavier, twice the power and meant to stomp all over the back woods and vastly more expensive to buy...some of us don't need and can't afford that! Guru5HPK9 Mine's been outstanding! It's a really smart handling vehicle w/minimal body roll on turns, excellent manuverability in the city and yet, a very stable highway ride. Granted, I have the FWD model, which sits lower than the 4x4 model & weighs less, so I can't speak about the handling of that version. Nor can I describe the 2.4 motor & the 9-speed auto trans because I'm one of the lucky few who got the 1.4T with 6-speed manual trans. This Jeepster is a hoot w/the stick shift & turbo combo. It has strong acceleration & excellent passing/merging power too. I have a blast driving it. The very smooth engine has a broad powerband while delivering pretty good gas mileage. The interior has very good ergonomics and is a comfortable place to spend time. All in all, I couldn't be happier with my purchase. Getting it for $6K under sticker made it an incredible value too! Users ranked 2016 Jeep Renegade against other cars which they drove/owned. Each ranking was based on 9 categories. Here is the summary of top rankings. 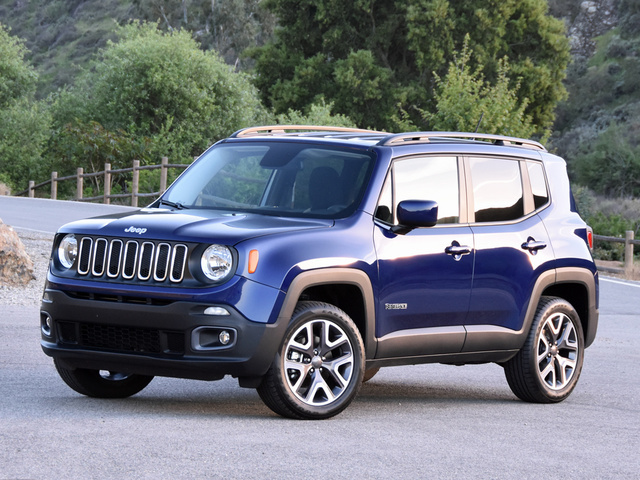 Have you driven a 2016 Jeep Renegade? Do You Do Auto Body Scratch Repair? 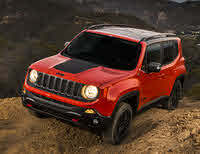 We are trying to find out weather we can swap seats from the the jeep Cherokee to the jeep renegade trail hawk 2016 ? need to trade in my Jeep for a less expensive vehicle and add the remaining balance on to purchase of the used vehicle where can I do that? JEEP RENEGADE 2.4L; WHICH CYLINDER IS NUMBER 4? NEED TO FIGURE OUT WHICH CYLINDER IS WHICH. I THINK NUMBER 4 IS THE PASSENGER SIDE MIDDLE, BUT I'M NOT SURE.